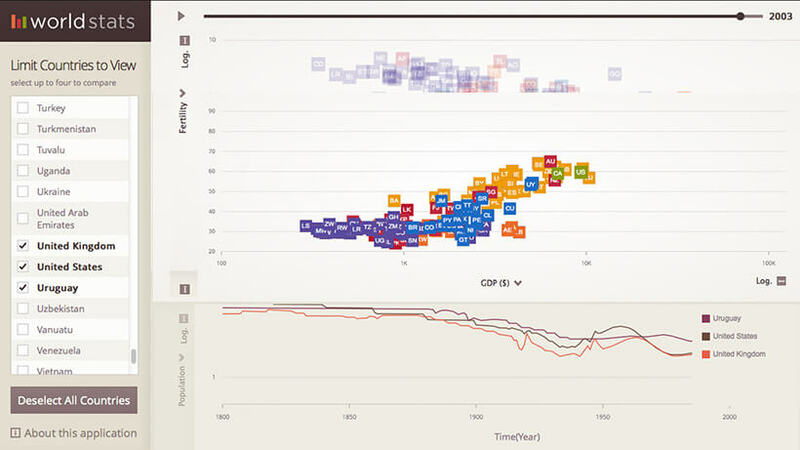 The WorldStats application sample shows the amazing Motion Framework of the Ignite UI Data Chart control that animates data over time to provide users with an extra layer of temporal insight into their data. This sample gives users rich insight into statistical data about all countries in the world by leveraging the Ignite UI Data Chart, Data Grid, Dialog Window, and more. Each chart supports zooming and drag-to-zoom, along with multiple series, series, types, and scales.